Hello! Olá! Thank you for visiting. LUSITANO1143 is a window into the authentic contemporary craft and creativity of Portugal in decorative goods for the home - curated for the U.S. consumer. Feel free to download images, or reach out to Press@LUSITANO1143.com for anything additional you may need. We're always discovering new pieces, so check out the shop for the full collection. Obrigado! Small stone bowls serving boards crafted of Acácia wood and Lioz limestone from Sintra, dark gray ruivina marble from Évora, or light green verde cristal marble from Évora. Stone is unsealed and will age with wear. Coat Acácia board with olive or mineral oil before first use and condition regularly whenever needed. - A celebration of ties to home and future explorations. 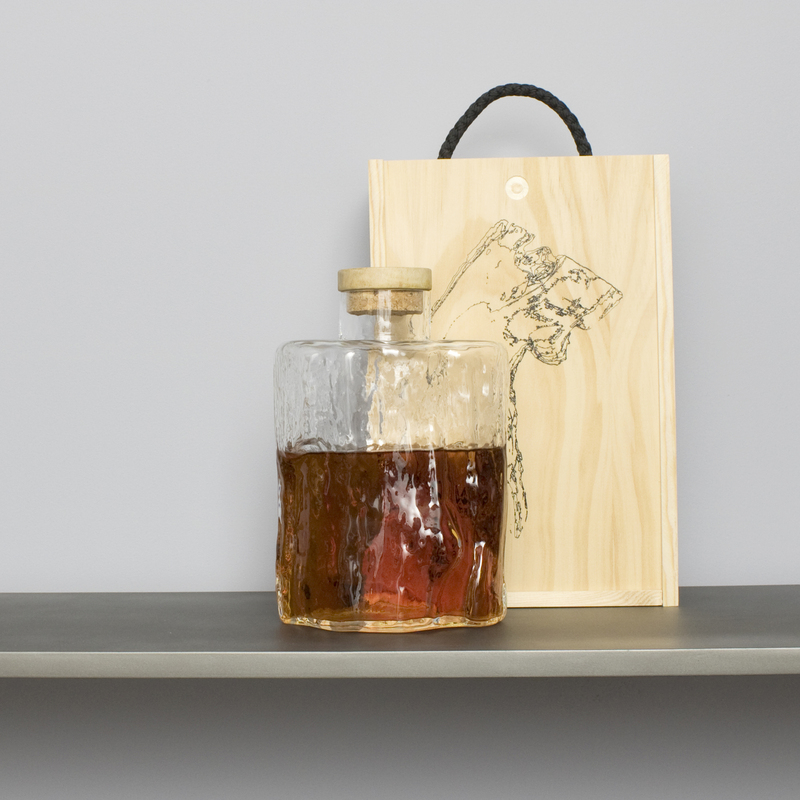 Handblown glass decanter, created from the absent core of a tree trunk - the tree lives on as it continues to wear with each decanter produced. Holds up to 1L of liquid (our preference is an oaky bourbon...), and is shipped in its own custom made wooden box. Earthenware vase with a satin soft-white glaze. Minimalist and geometric, Cécile’s work aims to encourage high interaction as the individual comes close to a small object with large significance that they examine, explore and uncover over time. A Portuguese expat now living in Brooklyn, Carlos began his career at Daniel Reich's contemporary art gallery in Chelsea, NY where works from emerging artists would be shown alongside established names. Carlos then moved into home decor by joining Jonathan Adler’s world of ‘happy chic’, before joining luxury design agency Tender Creative as premium brands became more digitally informed. While at Tender he managed online marketing and e-commerce efforts for high-end brands in the fashion, home and cosmetics space. Joining his passion for home decor with this digital expertise, he travelled the US and Europe discovering contributors for Dering Hall - an online portal connecting brands to interior designers. After experiencing the inner workings of these successful design businesses and tapping into a family history of entrepreneurship, he's thrilled to begin the next journey with LUSITANO1143. Goods for the home, rooted in Portugal. LUSITANO1143 is a window into the authentic contemporary craft and creativity of Portugal in decorative goods for the home. The brand celebrates and shares a Portuguese heritage in unique creativity, taking its name from the original warrior tribes that all Portuguese descend from. This warrior spirit and pride lives on, as to this day, to be Portuguese is to be Lusitano. Through a hand-chosen community of Portuguese artisans, LUSITANO1143 presents a collection of desirable, decorative, and functional home goods that are perfect for a discerning U.S customer. As the world continues to evolve and our lives are continually bombarded by the new and transient, LUSITANO1143 captures crafts that are timeless. Through the collection it’s possible to glimpse the old world, where the hands of real, skilled, craftsmen and women create from materials authentic to Portugal. The contemporary design aesthetic of a country popular for its surf, its food, its music and its climate makes the collection relevant, fresh, and on trend for the modern home. Feel free to download images, or reach out to Press@LUSITANO1143.com for anything additional you may need. We're always discovering new pieces, so check out the shop for the full collection.